Stroll by the window of the Connections store in downtown Seattle and you’ll learn how WSU research makes a positive difference in all of our lives. This display with its tasty bowl of spinach did more than grab attention. 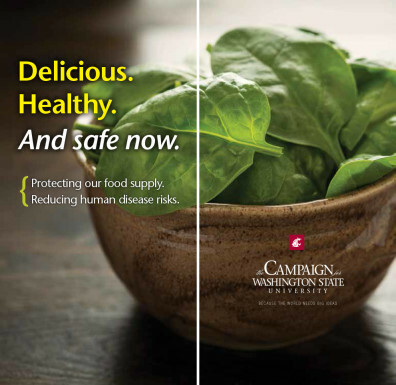 It illustrated WSU’s role in protecting the safety of our nation’s food supply.